Ndagire Sarah walked the red dirt carpet in her perky hairdo and a beautiful blue and white gown. She carried herself like a rich lady in a gomesi, the formal dress of women in Uganda. When I saw her I was overcome with tears of joy. I had met Sarah in 2006 when she was so sick with HIV/AIDS that she could hardly breathe. She lived in a slum in Kampala and was poor beyond belief, a widow who could not afford to feed her family or send her children to school, one of the hundreds of millions of women who live around the world in extreme poverty. But that was then. Today, just four years later, Sarah was being honored, with 21 other women for an incredible achievement. 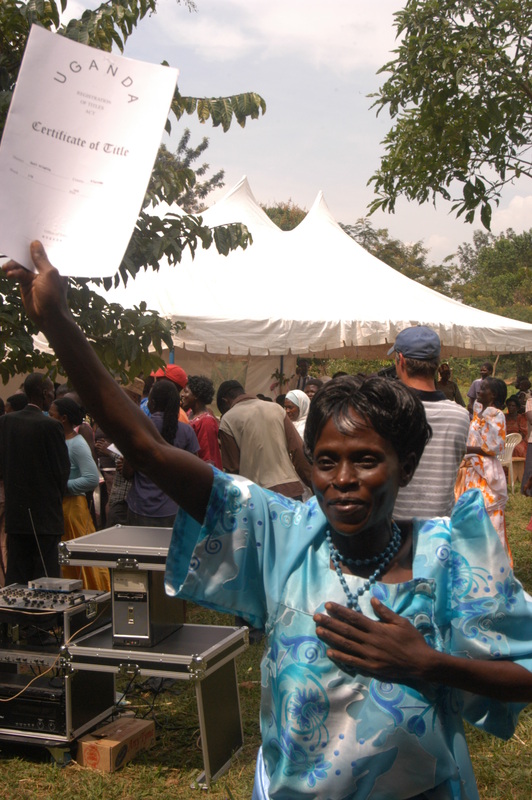 She had paid off a home that she built for herself in the village of Mukono, and was being awarded the title to the land she sat on. Sarah, who just a few years ago thought she would die and leave her children with nothing, was now a homeowner and one of the very small percentage of women around the world with land in her own name. For more information on BeadforLife visit http://beadforlife.org. 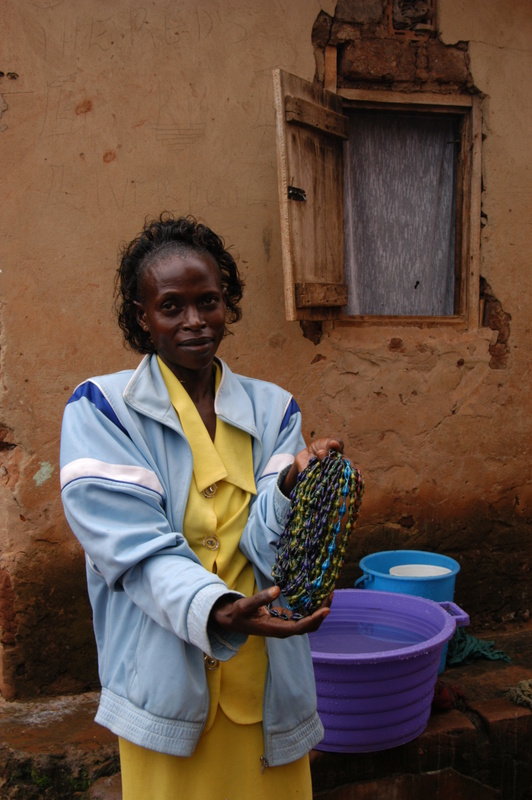 Categories: Africa, Community Service, Global Poverty, Health Care, Human Rights, Inspiration, Media, News, News and Views, Philanthropy, Poverty, Random Thoughts, Television, Travel, Women | Tags: AIDS, BeadforLife, Devin Hibbard, Friendship Village, HIV, kampala, Mukono, Ndagire Sarah, Poverty, Uganda | Permalink. Inspiring story. The incredible piece is how something so small (beads) but kept at so persistently (years) turned into a life changing experience for these women. Kudos!